Many kayakers avoid using skegs altogether because such a system adds complexity to their boats and boosts odds of leaking and mechanical failure. This is one of the most misunderstood pieces of canoeing accessories, as it is treated by many people as a thing that makes the kayak track. But what is actually the purpose of a kayak skeg? Basically, this is a fixed triangle-shaped fin which makes the canoe go straight by moving up or down. It can’t turn from side to side, though. The fully-deployed skeg gets the kayak to turn downwind; the kayak will turn crosswind when the skeg is lowered halfway. 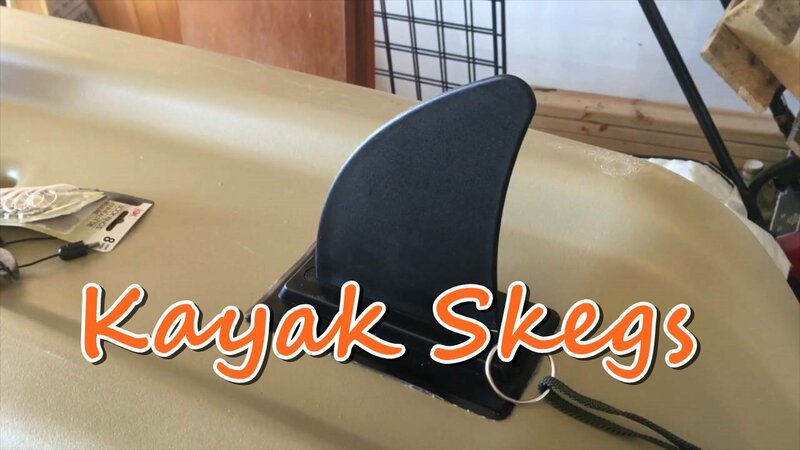 The completely raised skeg increases the maneuverability of a kayak and makes it turn upwind. If you are interested in buying a kayak skeg, take the time to read our reviews of the top models on the market and find the best fit for your boat. This kayak fin stands out from the rest with its design, quality, and functionality. It’s designed to suit most kayaks and canoes. With regard to materials, it’s made of PVC that makes it fairly rigid. Manufacturer recommends using the glue (like marine sealant) which can affix PVC. The fin is quite easy to attach and remove. Once installed to your kayak, it will reduce the water resistance while kayaking. Whether you use it for flatwater or whitewater kayaking, this item will work great and keep your vessel going straight and faster. That makes a big difference in the way you raft. Here’s another great solution when it comes to kayak skegs. 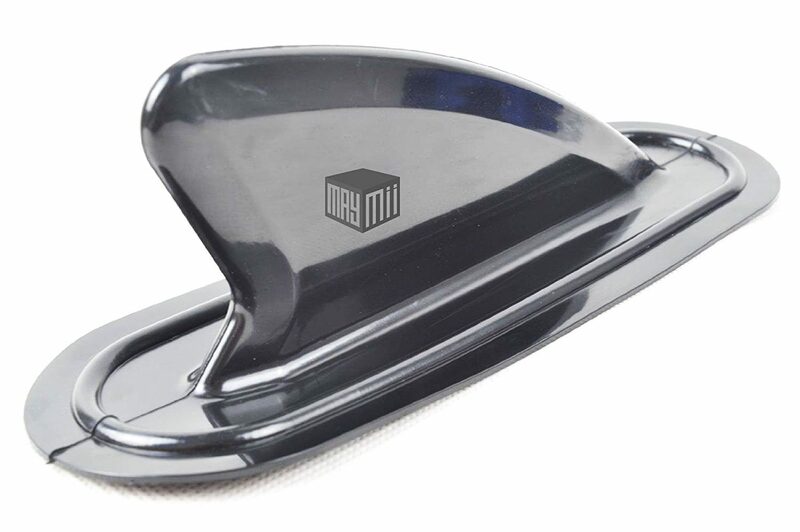 The MAYMII tracking fin can be used for various types of boats, including kayaks and canoes. With this item, the water resistance will be considerably decreased and your kayak will track much straighter, especially in crosswind conditions. It is pretty easy to attach and detach; no tools needed. Just make sure to use an appropriate glue and thoroughly rough up the area of your boat where you wanna adhere it to. Otherwise, the glue won’t stick well. 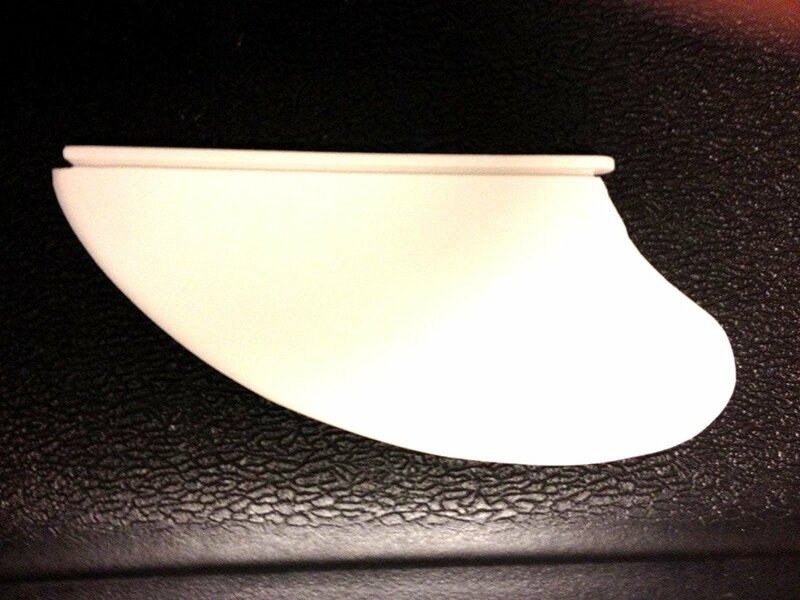 If you are looking for a small, removable fin for your boat, look no further. This is a great tracking solution, indeed. Use of this small skeg is a great improvement in tracking straight. Mounting shouldn’t be a problem if you have a good glue for PVC, such as marine goop. It features a round bottom to adhere well. Once the base is attached, you will be able to remove it as needed. Note that this kayak skeg is rather small, so you’ll need to buy a larger model if you’re rarely in the shallow and rocky water. Another option is to go with 2-3 skegs of this size. Those searching for a large skeg for their kayak or canoe boat are advised to check out this product. Despite the large size, this skeg is pretty lightweight as well as easy to carry. Most important of all, it fits most kayak boats and works great. 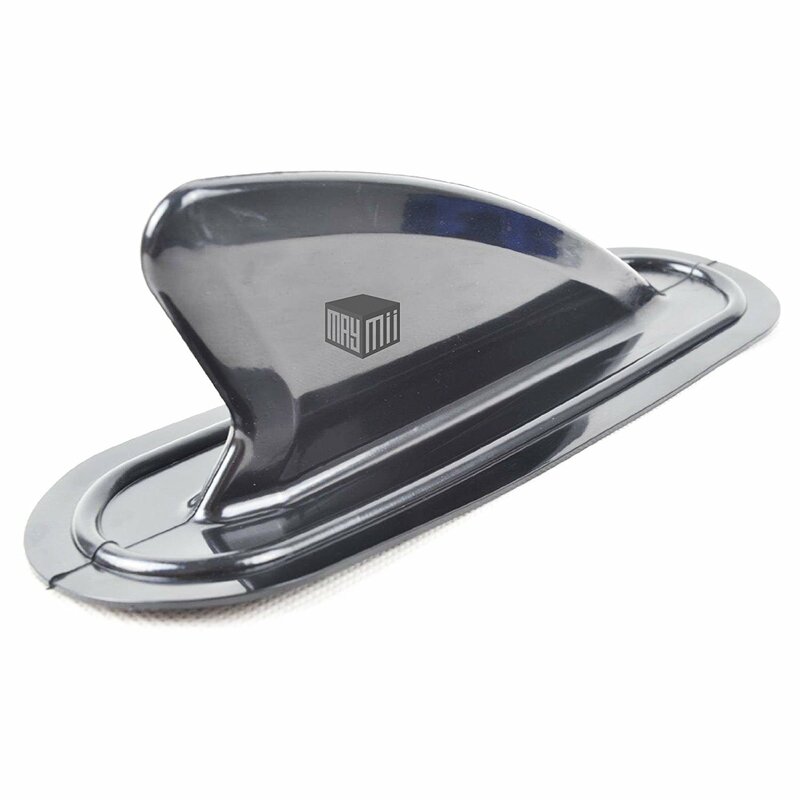 You can make use of it to cut down the water resistance and keep your boat going straight. 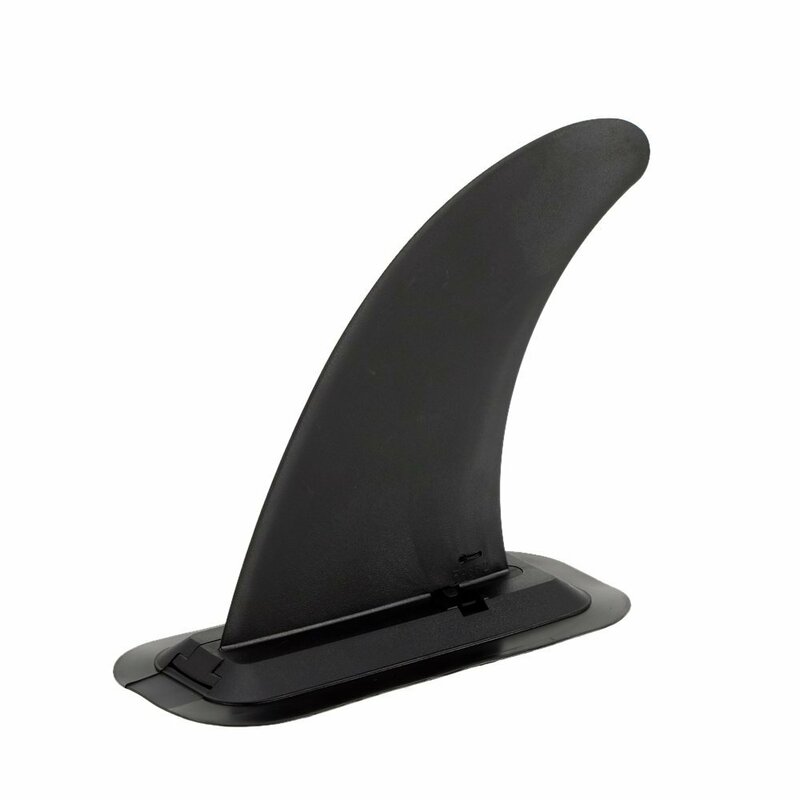 Strong construction and high-quality rubber ensure that the fin can resist the harsh conditions. The skeg comes with a mounting plate. There are two options when it comes to the mounting — glue or screws. Most people prefer using a waterproof glue for this purpose. Bear in mind that glue isn’t included. Please note that this product is specially designed for 10-inch kayak grooves. That said, make sure to measure the groove of your boat before purchase. 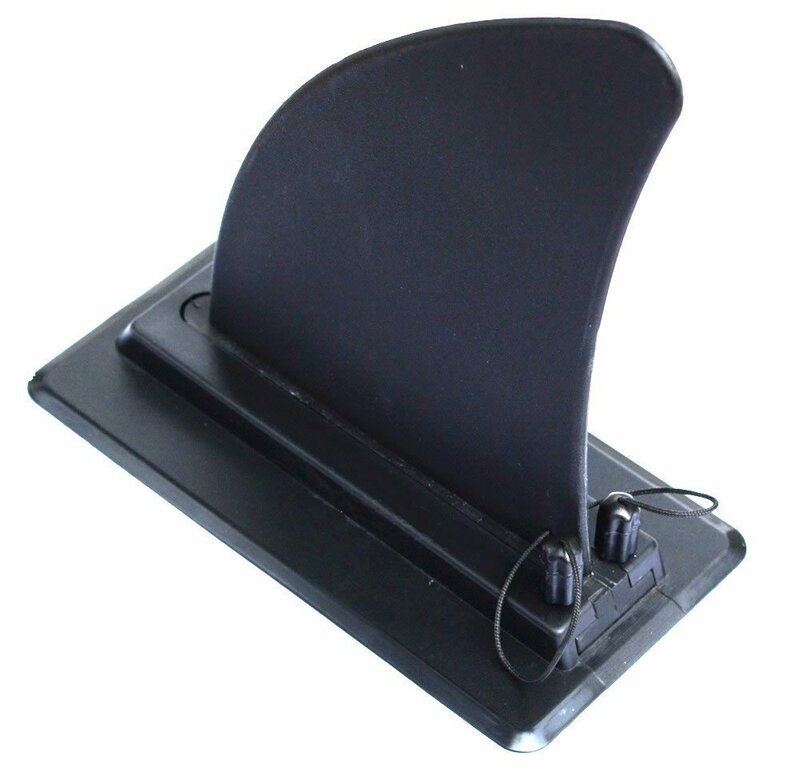 Also, keep in mind that this replacement skeg is mainly suited for Intex Explorer K2 and Challenger K2 inflatable kayaks. It features a buoyant body that is constructed from high-density polyvinyl chloride plastic, which makes it ‘shoulder up’ on either side of the groove. This results in a tight fit that prevents the unit from slipping out. Read on for the top things to take into account when purchasing a kayak skeg. First and foremost, the skeg you are looking for must serves its purpose — to make the boat go straight while paddling. There are two major types of kayak skegs: cable controlled and rope controlled. The ultimate function of a boat plays an important role in determining the skeg desirability. For instance, if you’re searching for an extremely maneuverable canoe for a low-mileage jaunt for a tidal rip, rock garden, or surf zone, having a skeg is a must. It enables you to quickly change course and paddle long distances in the straight lines. The shape of skeg comes into play in pivoting and balancing of a kayak. As mentioned earlier, the skeg blade can’t pivot side to side. However, it can be raised and lowered to just about any point. How well it will pivot mostly depends on the shape. The skeg is supposed to be removable so as to allow you to take it off when needed. That’s why the kayak fin should be easy to remove. It must be easy to attach as well. Be sure to use the right glue when attaching the skeg to your boat in order to prevent it from falling off. Most skegs are made from either PVC or rubber. Regardless of the material, it must be waterproof and durable alike. The skeg shouldn’t be too rigid, nor should it be too flexible. As with many other things about kayaks, there’re dissenting opinions on whether or not to use a skeg. One of the most significant reasons to use this item is to keep a kayak on track and make it easier to handle. Now that you know the benefits of having a kayak skeg and top models on the market, it’s much easier to make the right decision. Choose a skeg that fits your boat best and get the most out of paddling.